Demand for new passenger planes across the globe is expected to continue its upward track as millions of people throughout developing nations take to the air for just the first time. 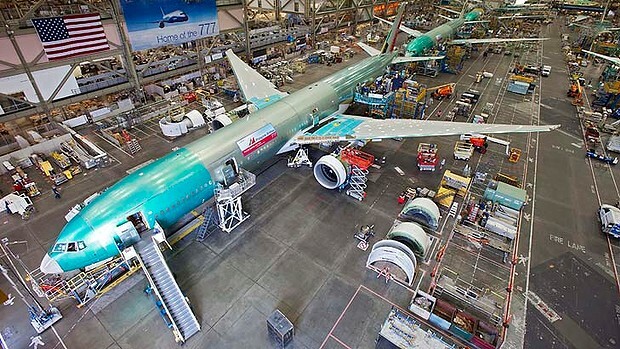 Over the upcoming 20 years, airlines around the world will need more than 38,000 new aircraft said Boeing one of the leading jet manufacturers its annual forecast for the market. That is 3.5% up from its projection of last year. To fill the expected demand, Boeing and its biggest rival Airbus along with small plane makers such as Bombardier and Embraer will have to build over five planes per day, each day for the upcoming two decades. The new aircraft will help double the existing worldwide aircraft from 21,600 to more than 43.560 by 2034. Fifty-eight percent of those 38,000 planes delivered during the time will be for the accommodation of growth. Boeing estimates the amount of passengers will increase by almost 5% annually. The remainder of new planes will be used to replace existing ones. Nearly 2 of every 5 new planes will be used in Asia. The current spree of jet buying has been pushed by inexpensive credit and high prices of fuel making it economically possibly for purchasing the new and fuel-efficient planes. However, with prices of fuel dropping and interest rates ready to start climbing, some experts in the industry have warned that the airlines might keep flying jets that are older instead of buying new ones that are much more expensive. However, Boeing said it does not see it that way. The commercial airplane market continues to be resilient and strong, said Boeing’s marketing vice president Randy Tinseth. The market VP for the commercial division said looking forward we are expecting the market to maintain its growth and that the demand for more new aircraft will be robust.